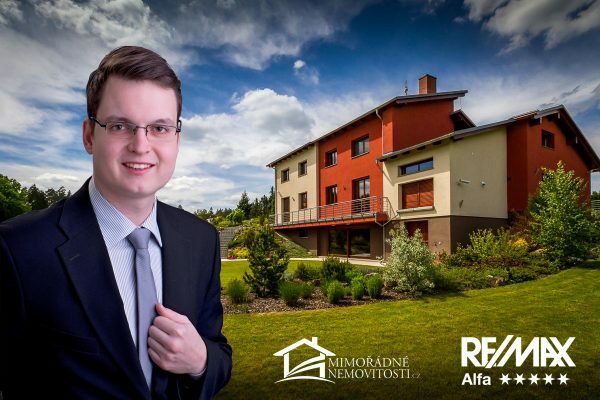 We offer marketing and trade services to the owners of above-standard reale estates in the Czech republic upon the sale of their real estates. The core of our business is to enhance several steps above the sales presentation of such real estates so that the coveted result could be reached – successful sale and maximum satisfaction of a client. An individual web presentation with a quantity of figurative elements with assigned retargeting pixels to its background is created for each of our real estates for sale. All photos are taken by a professional photographer focused on real estates. The pictures are taken by the wide-angle lens with the highest possible definiton. Thanks to the quality advertising and application of up-to date web graphic we are able to approach sharply higher quantity of potential purchasers than the majority of our competition. Videopresentation of our real estates are performed with using of professional film recording facilities and elements such as a special key background and a quadcopter with HD movie camera.